You may want to begin by exploring the Gunnison Country Chamber of Commerce, which provides a wealth of information on our local area. Whatever your water interest – from boating, to challenging guided fishing (see Blue Mesa Fishing), or something in between- Elk Creek Marina has you covered. We’ve got everything on the water, including boat rentals, kayaks, SUP’s, boat launching and loading, store, tackle shop, t-shirts, gifts, gasoline, mechanic on duty, boat and repair supplies, guided fishing, boat slips, and Pappy’s Restaurant. 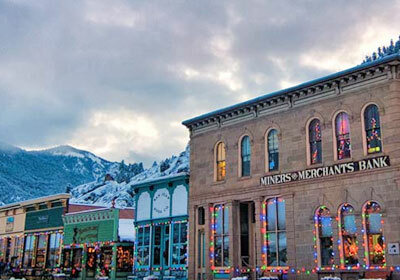 Crested Butte is known as “the last great Colorado ski town”, with it’s rich history as a coal mining town, it is now the perfect place to ignite your passion for adventure. 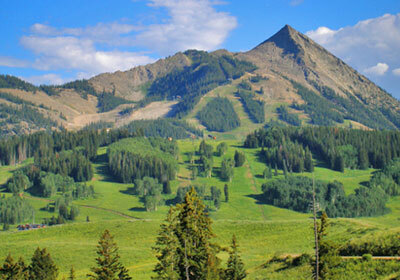 Most famous for it’s legendary steep skiing, Crested Butte offers a variety of summer activities as well. Be sure to check out the Crested Butte Wildflower Festival. Look deeper into everything that Montrose has to offer. From outdoor adventures, scenic drives and byways to a look into the history of the Ute Indians including ancient rock art. 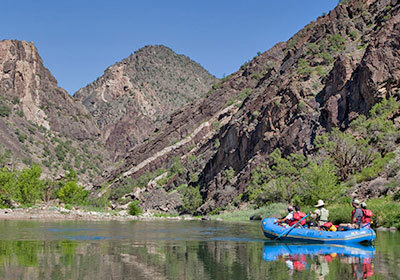 Home of the spectacular Black Canyon National Park, one of the nation’s most breathtaking scenic treasures. Encompassing more than one thousand square miles of untamed beauty, “ah factors” are a constant in this northeastern corner of Colorado’s mystical San Juan Mountains. A destination for everyone from climbers to fishermen and hunters, from 4-wheel enthusiasts to hikers, bikers and horseback riders, from birdwatchers to Old West history buffs. 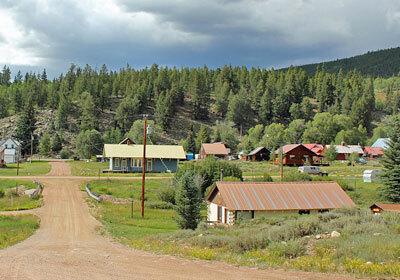 Twenty-six miles northeast of Gunnison, and nestled among the Quartz Creek in the Rocky Mountains, you will find the small mountain Town of Pitkin. At 9,242 feet, Pitkin provides just the delightful summer spot you have been seeking. Pitkin is a partial ghost town, with many of the original buildings standing in excellent condition. 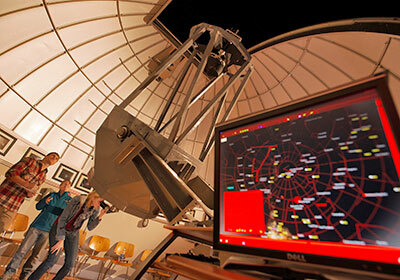 Visitors in the dome will sit in the seats circling the GVO’s main telescope – the 30” Schmidt - Cassegrain reflector telescope. You will experience the rotation of the computer - driven dome above your head and will each take turns viewing a night sky object. This could be a nebula, double star, globular cluster, planet, the moon or many other wonders. 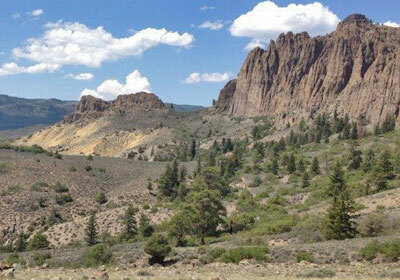 Dillon Pinnacles Trail is a 3.7 mile lightly trafficked out and back trail located near Gunnison, Colorado that features beautiful wild flowers and is good for all skill levels. The trail is primarily used for hiking, walking, nature trips, and birding and is accessible year-round. Dogs are also able to use this trail but must be kept on leash. 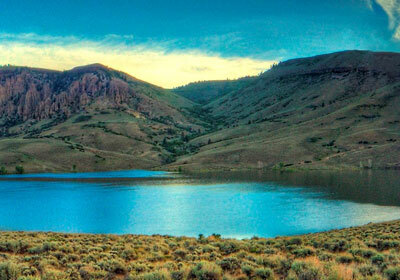 Curecanti National Recreation Area is a series of three reservoirs along the once wild Gunnison River. 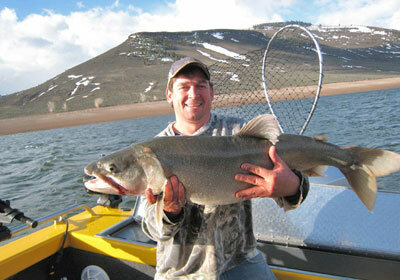 The reservoirs that make up Curecanti today are a destination for water-based recreation high in the Rocky Mountains. Best known for salmon and trout fishing, Curecanti also offers opportunities for hiking, boating, and bird watching. 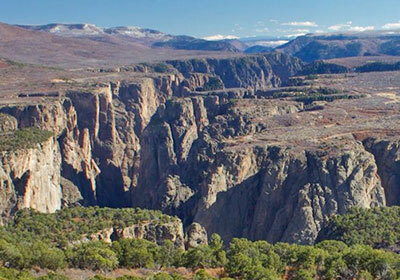 Big enough to be overwhelming, still intimate enough to feel the pulse of time, Black Canyon of the Gunnison exposes you to some of the steepest cliffs and craggiest spires in North America. Roads and trails along the north and south rims have views of the Black Canyon’s dramatic drops and the striated Painted Wall cliff. 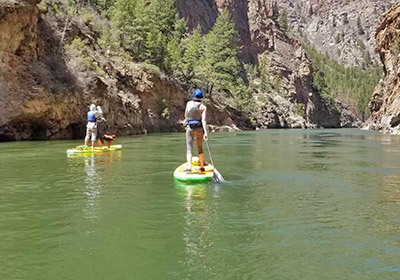 Scenic River Tours, located in Gunnison, Colorado, offers guided rafting, fishing, inflatable kayak trips and rock climbing sessions. 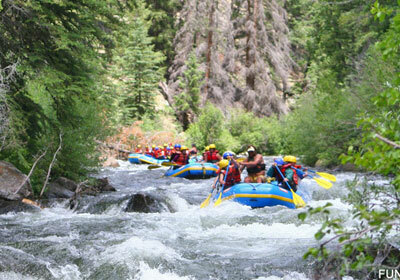 Scenic River Tours also provides rafting equipment rentals and sales. Look no further for your Colorado white water rafting adventure this summer! 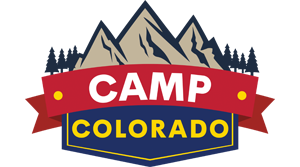 SUP, Kayak, and Raft with Adventure Headquarters in Sapinero, CO.